Editor’s note. This appeared Tuesday on theblog of Alex Schadenberg, executive director of the Euthanasia Prevention Coalition. The tragic reality of euthanasia. Over the past few months, a Quebec government commission has been studying euthanasia and assisted suicide. At the end of June, its members flew to Europe to examine the issue in countries where the practices are legal (such as the Netherlands and Belgium) and in a country that rejected legalized euthanasia (France). What is the commission likely to hear? Proponents of euthanasia will undoubtedly stress that the practice is conducted only within tight guidelines. As a recent study by a Canadian doctor shows, however, these guidelines keep shifting and are of little value in protecting the rights of patients. In fact, according to an article published in Current Oncology by Dr. José Pereira, medical chief of palliative care at Bruyère Continuing Care in Ottawa, safeguards are routinely ignored and abused. Dr. Pereira addresses the safeguards one by one. In the Netherlands, where assisted suicide and euthanasia became legal in 2002, the law states that individuals must give written consent that they want to die. In spite of this, a 2005 study of deaths by euthanasia in the Netherlands found that almost 500 people are killed annually without their consent. Belgium has the same safeguard. Nonetheless, a 2010 study found that in the Flemish part of the country, 32% of euthanasia cases were carried out without request or consent. Some were cases where a person couldn't give consent due to their medical condition. Others were cases where a person could have given consent but didn't. In the latter cases, doctors proceeded with euthanasia because they felt it was in the best interest of the patient, or because they thought discussing it would be too harmful to the patient. Another suggested safeguard is mandatory reporting: All cases of euthanasia must be reported to the proper authorities so that they can ensure the other safeguards are being followed. This safeguard is weak from the start. Why would a doctor abusing patients report his abuse to the authorities? Nonetheless, the Netherlands and Belgium maintain this requirement. In Belgium, nearly half of all estimated cases aren’t reported. In the Netherlands, at least 20% of all cases aren't reported. The third safeguard is the guarantee that assisted suicide or euthanasia be carried out only by doctors. Yet a 2010 study of 120 Belgian nurses found that they administered life-ending drugs in 45% of assisted suicide cases without the patient's consent. The fourth safeguard is a second opinion: If a doctor approves you for assisted suicide or euthanasia, you must obtain the go-ahead from another physician. This safeguard is easily circumvented. In Oregon, for example, public reports show that a physician tied to a pro-assisted suicide lobby group provided consultations in 58 of 61 cases of assisted suicide in Oregon. It appears that if you can't find a second doctor to approve your request, a lobby group will gladly provide one. History shows that when it comes to euthanasia, safeguards, however well intentioned, do not work. Once the law defines assisted suicide and/or euthanasia as a personal right, there is always a push for the law to expand its ambit. In the Netherlands, for example, the initial reason for legalizing euthanasia was as a last resort for adults with terminal illness facing intolerable suffering. Today, there exist medical circumstances in which new:“Out of Free Will" who ran a successful campaign that had the Dutch parliament debating a measure allowing anyone over 70 who is merely tired of life to die by euthanasia. The idea of safeguards sounds comforting, but it's important to know that the globe over, they have not worked to protect patients. Let's hope the Quebec delegation traveling in Europe this summer gains a robust understanding of the issue. One thing's certain: They won't hear from those who died when safeguards were abused and ignored. 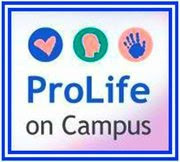 Tags: National Right To Life, NRTL, euthanasia To share or post to your site, click on "Post Link". Please mention / link to the Greater Fitchburg For Life. Thanks! Bill Smith, ARRA News Service Editor: This morning I attended Heritage Foundation's Blogger Briefing. One of the speakers that caught my attention was Kellie Fiedorek of Americans United For Life (AUL) who shared about the report referenced below. The report details evidence of systemic financial irregularities within the abortion giant – which receives more than $363 million in taxpayer funding each year. The entire report can be read by anyone by downloading a PDF copy of the report. Follows in a copy of the press release that accompanied the release of this report. “Systemic financial irregularities in the abortion industry’s known record demand an investigation into what goes on behind the closed doors of Planned Parenthood clinics across the country,” said AUL’s Dr. Charmaine Yoest. WASHINGTON, D.C. – Americans United for Life released a groundbreaking analysis of the nation’s largest abortion business, following years of AUL legal team research poring over more than 20 years of Planned Parenthood records, law enforcement reports, and other materials. The report details evidence of systemic financial irregularities within the abortion giant – which receives more than $363 million in taxpayer funding each year. “Momentum for defunding the abortion industry comes from the grassroots,” noted Dr. Yoest. “More than 70 percent of taxpayers, whether pro-life or pro-abortion, agree that they don’t want their tax monies subsidizing the abortion industry. This is a bi-partisan budget cut available for Congress and every state." A number of states have begun the process of defunding abortion providers, though the efforts in Indiana have garnered the most media attention. Those states include New Jersey, Kansas, Tennessee, North Carolina, New Hampshire, Wisconsin, Texas and Ohio. The report is one facet of AUL’s strategic plan to end taxpayer subsidies to the abortion industry, to protect women, and to effectuate legal rights for all human beings. The AUL report documents known and alleged abuses by Planned Parenthood, and is intended to be a tool for use in investigating the nation’s largest abortion provider. The AUL report substantiates, synthesizes, and gives clear direction for the case against Planned Parenthood, which enjoys one-third of a billion in taxpayer support as a result of its intensive lobbying efforts. According to the Federal Election Committee, since the 2000 elections, pro-abortion groups have spent more than $205 million dollars in campaign contributions or independent expenditures on behalf of candidates for federal office. In 2010 alone these groups spent over $30 million on federal elections. Since the 2000 election cycle, Planned Parenthood and its affiliates have disbursed at least $6.8 million through direct contributions and independent expenditures benefiting federal candidates for office. In the 2010 cycle alone, Planned Parenthood and affiliates spent nearly $1.6 million in federal races. “It is time to find out what happens behind Planned Parenthood’s closed doors and to receive full accounting for the funds taken from American taxpayers to support the abortion industry,” said Dr. Yoest. For more analysis and information about this project and to download a copy, View the Report. Tags: AUL, Americans United for Life, Report, Planned Parenthood, financial irregularities, abortion industry, abortions To share or post to your site, click on "Post Link". Please mention / link to the Greater Fitchburg For Life. Thanks! by Steven Ertelt, LifeNews: Following a vote in New Hampshire to cancel a $1.8 million contract, the Planned Parenthood abortion business is cutting back services and may have to close one or more of the six centers it runs in the Granite State. The Executive Council voted on June 22 to revoke the contract and that vote went into effect on July 1. Since then, according to a Keene Sentinel report, the pro-abortion organization has been cutting back Planned Parenthood of Northern New England spokeswoman Jennifer L. Frizzell told the paper. She told Sentinel that Planned Parenthood is operating on a week to week basis and may have to stop providing non-abortion services when funding dries up, reduce hours, or close. “What we’ve been doing in the short run, and we can’t continue for much longer, is keeping our doors open,” she said. Frizzell also said Planed Parenthood is looking at negotiating with the Executive Council to renegotiate the contract or it may file a lawsuit if that falls through. The taxpayer funding accounts for 20 percent of its annual budget. The abortion business also launched an advertising campaign in the state designed to attack the vote. It asks Daniel St. Hilaire of Concord, one of the council members, to reconsider his vote and it claims women are denied health care because of it. But St. Hilaire told the Concord Monitor newspaper the contract should go to an organization that does not perform abortions. Although the money doesn’t directly pay for abortions, pro-life advocates say it is wrong to fund the abortion business and abortions indirectly. Now, money that was freed up to do abortions must be used to provide legitimate health care. The Executive Council voided the contract with Planned Parenthood of Northern New England (PPNNE) with Councilor Dan St. Hilaire of Concord casting a vote against the contract along with David Wheeler of Nashua and Raymond J. Wieczorek of Manchester. The Union Leader indicates Raymond S. Burton of Bath and Chris Sununu of Newfields supported funding the abortion business. While the council approved contracts for legitimate medical centers and organizations, St. Hilaire told the newspaper that Planned Parenthood does abortions and its CEO earns in excess of $250,000 a year. St. Hilaire also cited the fact that most of the services and administration are located outside New Hampshire, in Vermont. Smith indicated that the most recent annual report for Planned Parenthood of Northern New England shows that, of its $18 million dollars in revenue, $3,126,841 (or 16.9%) was spent on general and administrative costs, $714,877 (or 3.9%) was spent on policy advocacy spending or lobbying, $597,000 (or 3.2%) was spent on marketing and communications and $568,397 (or 3.1%) was spent on fundraising. The trend of de-funding Planned Parenthood started last year when New Jersey Governor Chris Christie signed a budget which eliminated about 7.5 million dollars worth of family planning funding, part of which went to the abortion business. Indiana approved a law de-funding Planned Parenthood and North Carolina and Kansas followed with similar efforts. Wisconsin Gov. Scott Walker has since signed a budget cutting Planned Parenthood funding and Texas Gov. Rick Perry is about to follow suit. ACTION: Contact members of the Executive Council at http://www.nh.gov/council/ and ask them to oppose the Planned Parenthood contract. Tags: New Hampshire, defunding, Planned Parenthoods, abortions To share or post to your site, click on "Post Link". Please mention / link to the Greater Fitchburg For Life. Thanks! Giulia Galeotti’s full column can be found here. Tags: Giulia Galeotti, therapeutic abortions, disabled, eugenic utopia, Vatican To share or post to your site, click on "Post Link". Please mention / link to the Greater Fitchburg For Life. Thanks! 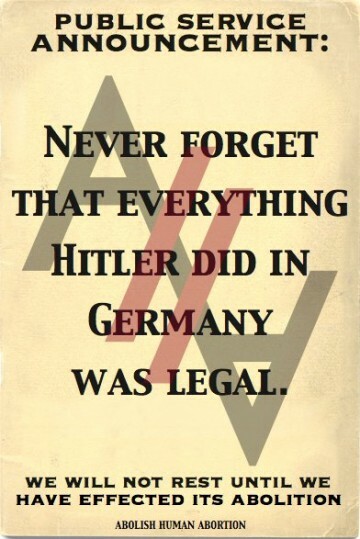 Never forget that everything Hitler did in Germany was legal. 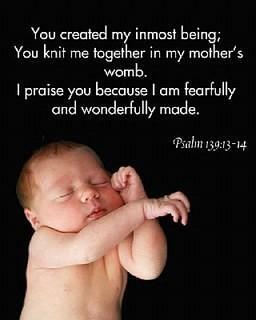 Abolish abortion! Tags: Hitler, legal, Germany, abortion, abolish abortion To share or post to your site, click on "Post Link". Please mention / link to the Greater Fitchburg For Life. Thanks!